The i6500's designed as a super-fast do-it-all A3 printer for both photographic and office use. It uses four separate inks rather than the six, seven, eight or nine inks of dedicated photo printers, but the quality difference is less than you might think. 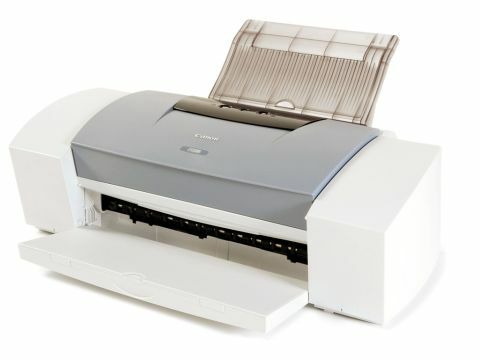 It has maximum (text-based) print speeds of 17ppm mono and 12ppm colour, and the ability to print borderless photos right up to A3. There's even an optional PostScript RIP add-on for designers and pre-press proofing. But at over £300 it's expensive. The i6500's fast, belting out our test print in three minutes and nine seconds. The print quality's good, despite the fact it has only four inks. Colour fidelity and detail are great, and saturation and contrast aren't bad, either. Up close, however there's 'dotting' in some areas and, worse than that, its paper handling isn't brilliant, leaving banding and unevenness at one edge of our borderless photo, and that was on Canon's own paper.